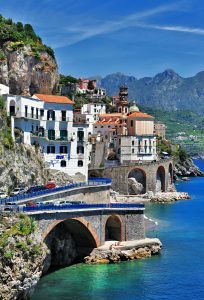 This is a great cruising area that can be enjoyed on a one week private yacht charter out of Naples, Italy. Explore the secret Pontine Islands, once resort vacation islands for wealthy Romans and Emperors. Head to the top of Capri for chic shopping, excellent restaurants, and watching life go by enjoying a drink at a sidewalk café. Cruise along the Amalfi Coast, stopping to wander the walking streets of Positano, a village spilling down a valley cuddled between two mountains. 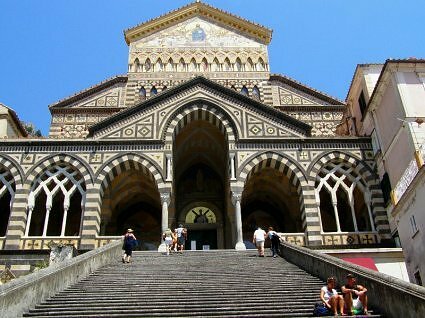 Visit Amalfi to see the Amalfi Cathedral, a world re-known excellent example of Italian Romanesque and Medieval Architecture. Climb the many steps up to Ravello perched on a cliff side for fabulous views of the Amalfi Coast. 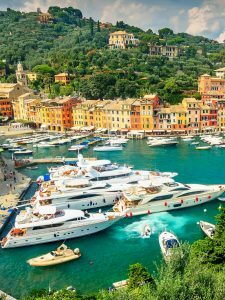 Every aspect of this terrific yacht charter cruising from the Pontine Islands to the Amalfi Coast is sure to please. 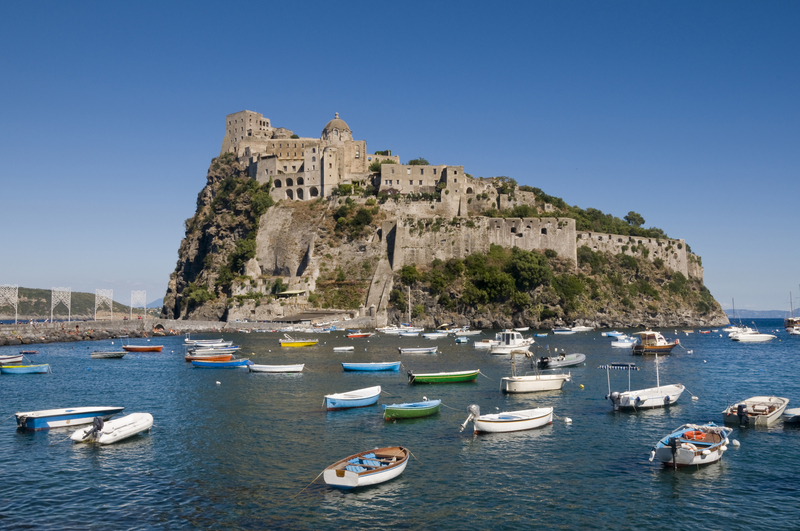 Day 1: Board in Naples, and settle in for your 2-hour steam over to Ischia. Anchor near Castello Argonese on the southern side of Ischia, and just on the northern edge of the Bay of Naples. Enjoy the scenery, and the beautiful waters, with a swim and fun with water toys. Overnight on anchor. Day 2: In the morning head ashore to explore the Castello Argonese. 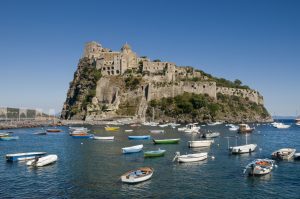 Once a separate rock from the island, over many centuries, the rock causeway was built to permanently connect the rock with the island of Ischia. Inhabited for many millennium, Castello Argonese flourished in 1500-1800’s, when over 2000 families lived inside the castle walls for protection against pirates and interior buildings included a convent, monastery, and numerous churches. Today entrance is via a tunnel and after a small entrance fee is paid, the castle can be explored in around 2 hours. In the afternoon explore the rest of this volcanic island where deep underneath Ischia, the volcano is still active, and is sending to the island’s surface, hot thermal waters in springs and geysers laden with various minerals. 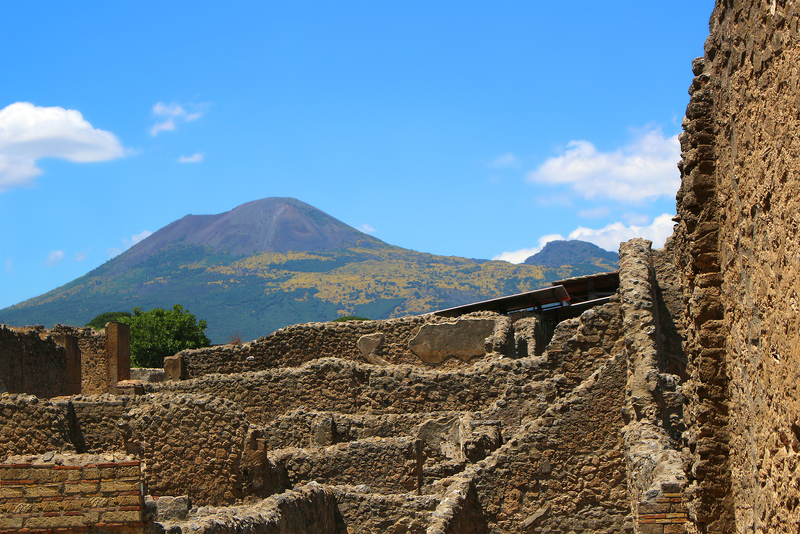 A mineral laden volcanic mud is also found on Ischia, and used in spa treatments. 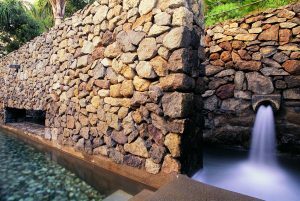 Considerable scientific research has been done in Ischia over the years to isolate the mineral qualities of the various thermal springs and volcanic muds for the possible health benefits. Don’t miss the historic Regina Isabella Hotel and extensive Thermal Spa. Once the hideaway for famous movie stars like Elizabeth Taylor, La Terme della Regina Isabella continues to offer high level medicinal and relaxation spa services and Thermal Plastic Dermatology Treatments for an afternoon of rejuvenation. And of course, there are pools of thermal waters for bathing, and baths of volcanic mud filled with minerals in which to soak. Your Captain can provide you a list of spa treatments available in advance and help make spa appointments. Unique to Ischia are “Spa Gardens”, where thermal pools of various temperatures and mineral content are spread throughout a park like setting. 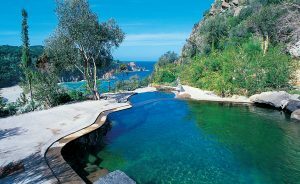 Nogombo Spa Garden has sculpture gardens interspersed among mini thermal pools and springs, all cascading down a hillside, providing beautiful views of the Mediterranean Sea. At the bottom of the hillside, is the park beach for a refreshing salt water dip in the Mediterranean Sea after experiencing the various thermal pools. Towards cocktail time, head to a local boutique winery. 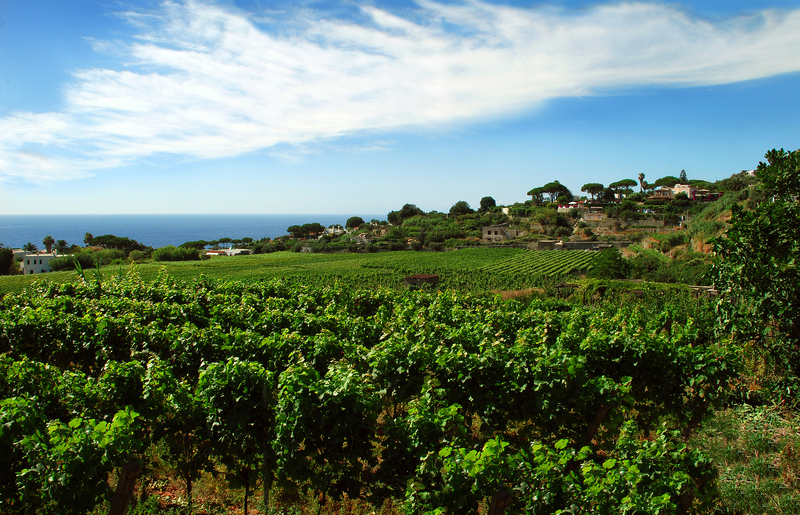 Ischia is steadily gaining worldwide recognition for the quality of the wines being produced. 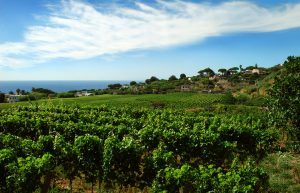 At the vineyard of Vigne di Chignole,, with a call to the vineyard in advance, have a tour of the ancient winery operation, still in use after many centuries, and sample the wines with a selection of tidbits, designed to accompany each vintage. Overnight on anchor in the shadow of the castle. nicest harbors in the Mediterranean. Ponza, rumored to have been named after Pontius Pilate, is the main island of the Pontine Island group, and is one of only two inhabited islands in the archipelago. Located in the Tyrrhenian Sea, the Pontine Islands are known for crystal clear waters in varying shades of blue, which surround these land masses created by ancient volcanic activity. 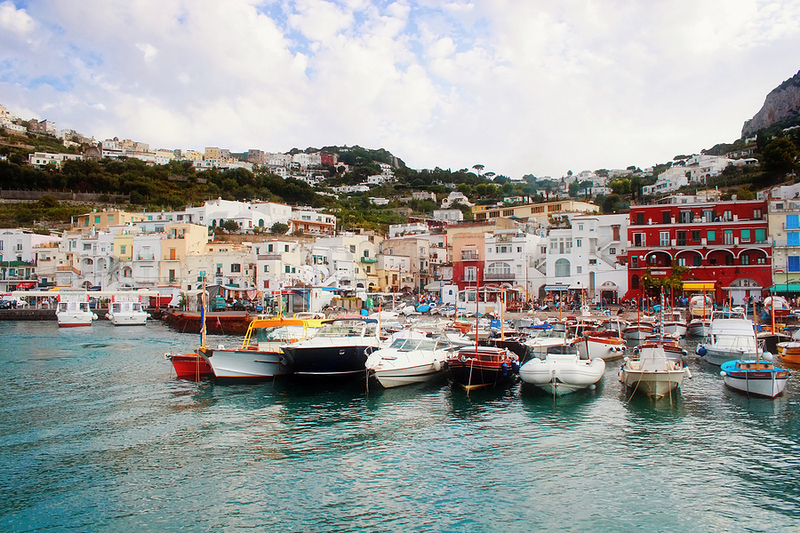 Ponza is believed to be the remains of the edge of a volcanic crater, and has been a resort island for many civilizations throughout time. Today, a little fishing village rings the main harbor, with great seafood tavernas on the quay. 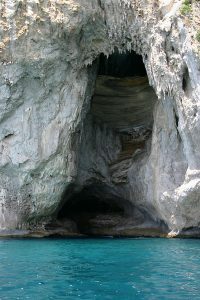 Perhaps enjoy lunch at a seafood taverna before heading uphill to see the Roman tunnel built straight through the island by the Romans, to connect the harbor of Ponza to spectacular Luna Bay, ringed by cliffs of white limestone. While you walk through the tunnel, your yacht can cruise to Luna Bay to pick you back up after your exploring, to enjoy a refreshing swim in the this spectacular bay. Anchor overnight. Day 4: Cruise south to the island of San Stephano, another of the Pontine Islands, and home of a prison in the 1700’s, cruise past on your way to Ventotene. 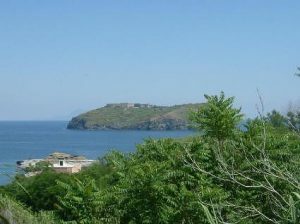 Ventotene is especially well known as an excellent scuba diving and snorkeling location. Underwater rock walls and ledges drop off just a short distance from the shores of this island and house a large amount of underwater life. As there are only about 600 people that live on Ventotene year around, the waters stay very unspoiled. And as there are no airports in the Pontine Islands these islands are never overwhelmed with visitors. 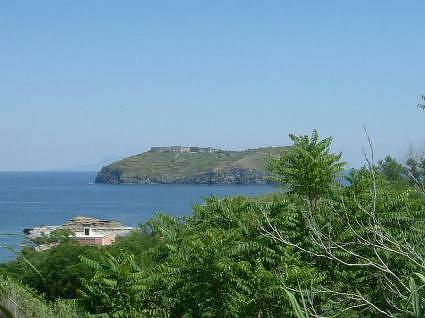 While relatively unknown now, Ventotene was very well known during Roman times. 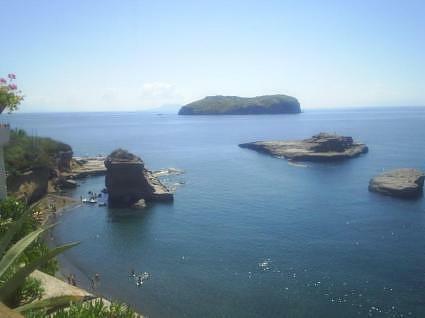 Dug into the rock of Ventotene is an ancient Roman harbor, still in use today. Also dug into the island along the head of the ancient harbor were caves used by the merchants as vendor stalls. These caves are still used today for modern day merchants to hawk their wares. At the head of the Roman harbor are a series of zigzagging steps up from the port to a large piazza above which is the heart of modern Ventotene. Another modern harbor has now been built to the side of the Roman harbor, with a manmade breakwater. However, just like Ponza, it was the Romans that left the largest historical legacy on this island. In the Roman harbor area you can see the remains of an ancient Roman fish farm which are a series of 3 pools carved out of the rock, used to grow fish and eels. Also in this area are basins carved out of the rock in which clean salt water was collected and allowed to evaporate to gather salt for the populace. Alongside the new harbor are the remains of a large Roman palace used by various Emperors’ as a location to banish family members. As Ventotene has little natural fresh water, inland on the island are a series of Roman cisterns and underwater conduits built with remarkable engineering. Visit the palace ruins where you will see fragments of mosaic, painted walls, and ruined baths. The other significant Roman remains on Ventotene are its cisterns, whose underground chambers have been used and re-used over the centuries for a range of purposes. Both can only be visited on an established tour, which are run from the island’s archaeological museum, Overnight on Anchor. 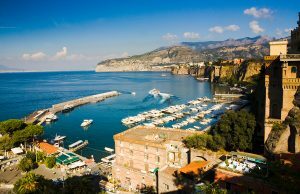 Day 5: Cruise early in the morning to Sorrento, where a van and driver will be waiting for a 4 hour tour of nearby Pompeii, during the cooler hours of the morning. 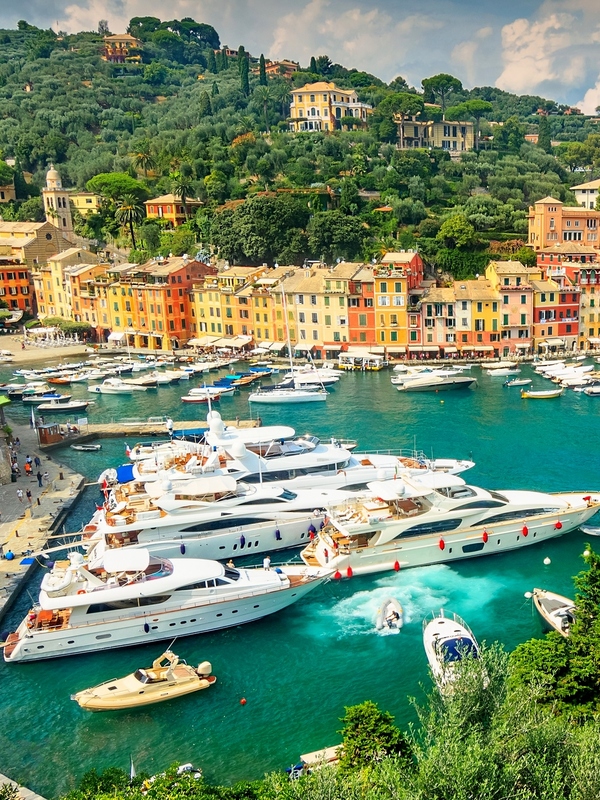 After lunch, cruise to Capri to overnight in the harbor dockside. Capri has always been one of the favorite resting places for the privileged. Once home to the Roman Emperor Tiberius, Capri now serves as the perfect getaway in which to experience Italy’s natural, scenic beauty. The extraordinary beauty of Capri, with the Blue Grotto, the charming landscape, and the views of Anacapri, makes this an interesting isla d. While Capri has some Roman ruins and a monastery, the following places are also worth a visit if time permits: Certosa of San Giacomo (XIV century), Palazzo Cerio (XV century), and the Villa of San Michele in Anacapri, known for its’ marvellous garden. Capri has two levels. There is a walking and shopping area right around the marina. However, the main town, on top of Capri, is accessible by funicular and is lovely with its upscale, tiny shops and many street cafes. You might want to take the funicular up to the main town before or after dinner, wander the streets and shops, and stop for refreshment at an outdoor café in one of the little piazzas as you watch Capri life go by. Day 6: Cruise to the back side of the island of Capri for a visit to the Blue Grotto. Transfer to the hand rowed boats to enter into the Blue Grotto and experience the mystical light. Cruise after to anchor near Positano and head for Le Sirene for a beachy taverna easiest to access by boat, and filled with fellow boaters, for a very relaxing lunch. 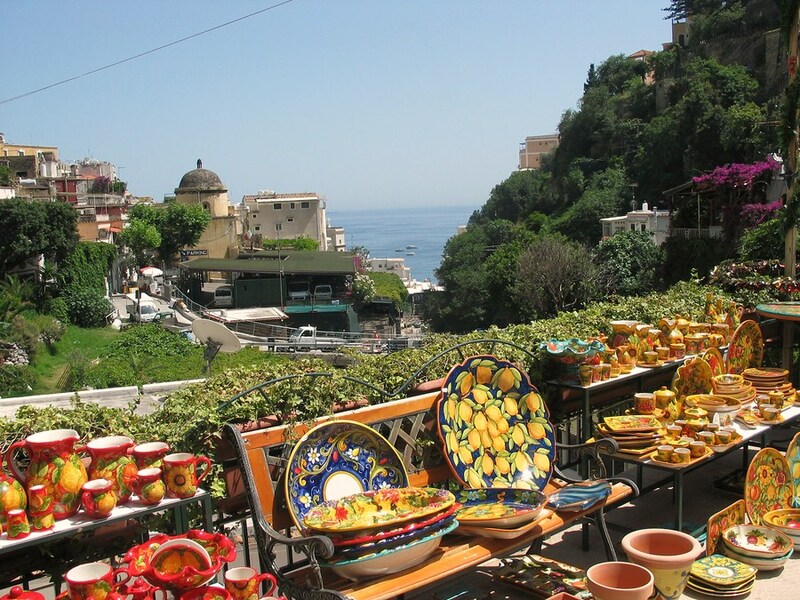 Or enjoy lunch on board, with a great view of Positano. 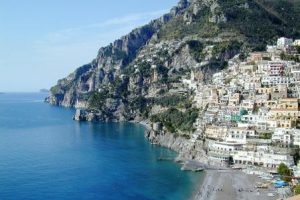 Positano is built around a small curving bay on a steep hill overlooking the island of the Sirens. Once a sleepy fishing village, Positano is one of the most picturesque towns on the Amalfi coast. The typical Moorish style houses are lined up along the slopes facing the sea. Steep steps, narrow lanes, courtyards and gardens furnish the rest of the town. Filled with walking streets, this is a little town where it is impossible to become lost. After enjoy the beautiful waters, and perhaps head to the San Pietro Hotel by tender for a cocktail before dinner enjoying the beautiful view. If weather allows stay at anchor along the coast. 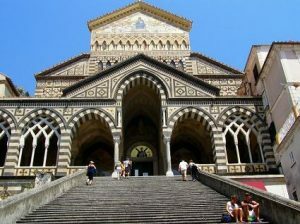 Day 7: Cruise to the lovely town of Amalfi, and be sure to see the Amalfi Cathedral, a very important building in Architectural History. For the hearty, try the walk up the many steps to the town of Ravello, or take a taxi up to Ravello for lunch and return back down by the many steps of the walking trail between the two. 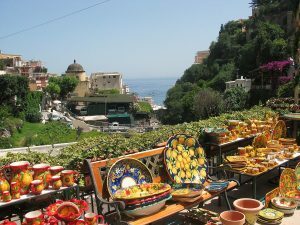 In the later afternoon cruise to Vietri sul Mer, where the local Sorrento Peninsula pottery is all hand painted in various little store fronts. If weather allows anchor for another night along the Amalfi Coast. 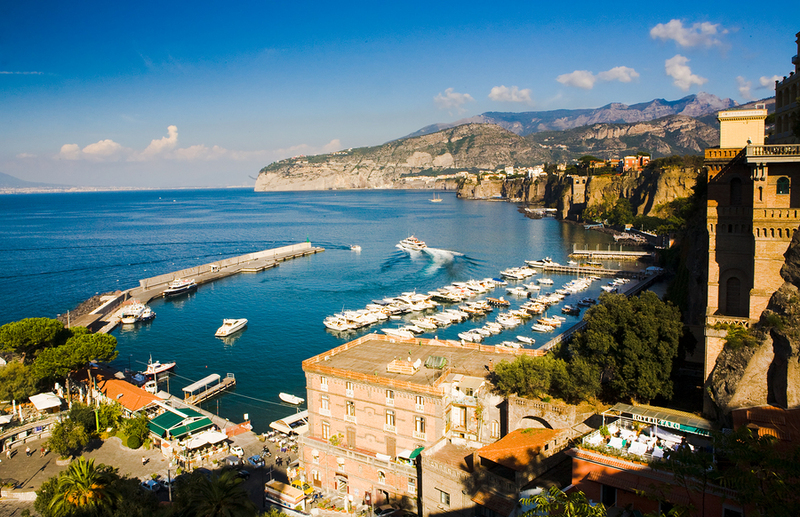 Day 8: Cruise back around the tip of the Sorrento Peninsula to disembark in Naples.